Last week, an upsetting but frequent occurrence happened involving Brad Scott. 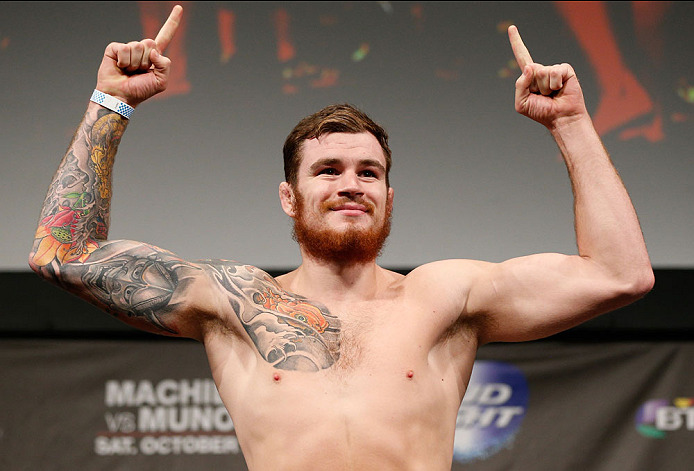 Scott was looking to appear in the Octagon for the eighth time at UFC Fight Night 127 and attempt to push his 3-4 record to .500. However, that didn’t occur, as Scott's fight was scrapped on Thursday. 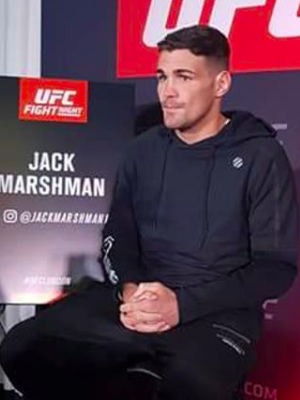 He was scheduled to fight fellow countryman Jack Marshman, but Marshman was unable to make it to the scales because he suffered “complications” during the weight cut that led to the fight getting scrapped. With it being too late to find a replacement opponent, Scott was left off the card. From there, the situation became even worse for the England native. Scott was awarded $10,000 (half of his "show money" under the fight contract), but he didn’t receive any of the funds he’s entitled to as a part of the Reebok deal. The fact that he didn’t receive those funds left him in debt after an extensive fight camp. The UFC received a lot of backlash across social media because this is yet another situation in which a fight has been scrapped and one fighter was left without some form of compensation. It’s well-documented that most mixed martial arts fighters are not compensated a large amount of money for their participation in their sport. Although the UFC continues to push for new revenue opportunities, fighters such as Scott are not in the position to capitalize financially. It’s also clear that massive weight cuts have negative health implications for fighters. While it’s often compared to what goes on in amateur wrestling, MMA fighters have become known for weight cuts to prepare for their appearances in the cage that are even more concerning. And when a fighter misses weight in a medically concerning way, the organization is often forced to pull the contest from the card, leaving one fighter without the chance to earn an important payday. Scott received part of his pay, but sometimes even that doesn't occur, as the UFC could decide to forego paying both the competitor who is responsible for the fight's cancellation and the one who isn't. And when that happens, those decisions are met with widespread criticism from fans and media members. But if a fighter doesn’t make weight, even through no fault of his or her own, doesn't that mean the fighter didn’t technically “show,” and thus isn't entitled to “show money?” When does the UFC decide to provide payment to fighters that were pulled from cards for reasons beyond their control? These are important questions that haven’t been answered. The “moral” solution is to provide fighters with the money that was budgeted to give them if they make weight -- show and Reebok deal funds. But the UFC is a business who will take any opportunity to save money. Fans may angrily complain, but it’s understandable why the company decides to do what it does. However, it will be interesting to see how fighters respond to this kind of situation in the future. Without much bargaining power in the UFC, they do not have the leverage to force a drastic and immediate change. This particular fight will need to be fought by the individuals managing contract negotiations for these individual athletes. Managers who recognize the current climate within the sport could make adjustments in order to provide their clients with protection against being denied show money. This could even be an opportunity to move toward a different model entirely, such as guaranteed contracts. Brad Scott will not be the last UFC fighter to deal with the problem of not being paid because his opponent could not make weight. With so many cards happening each month, it’s just a matter of time. The question for these fighters, however, is what they can do to better protect themselves financially if the term “show money” doesn't mean what they think it means.